When you make payments through the Lifester site, you may need to provide financial account information, such as your credit card number, to our third-party service providers, such as Stripe. We do not collect or store such information, though we may receive confirmation of completed transactions that does not include credit card or bank account numbers. 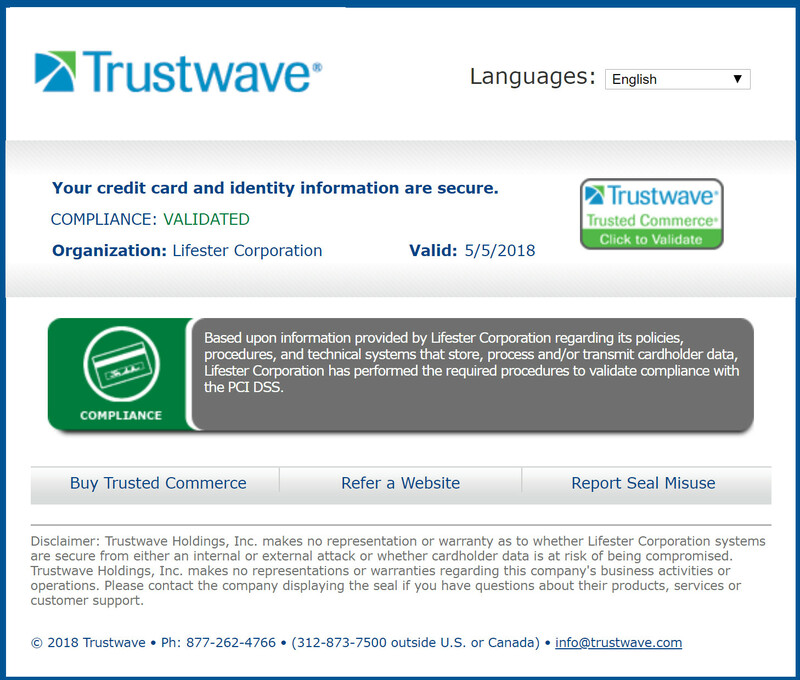 So that you know your credit card and identity information are secure, we have contracted with Trustwave, an industry leading website security firm, to audit Lifester and certify that we remain in compliance with the PCI DSS for procedures and technical systems that store process and transmit cardholder data.